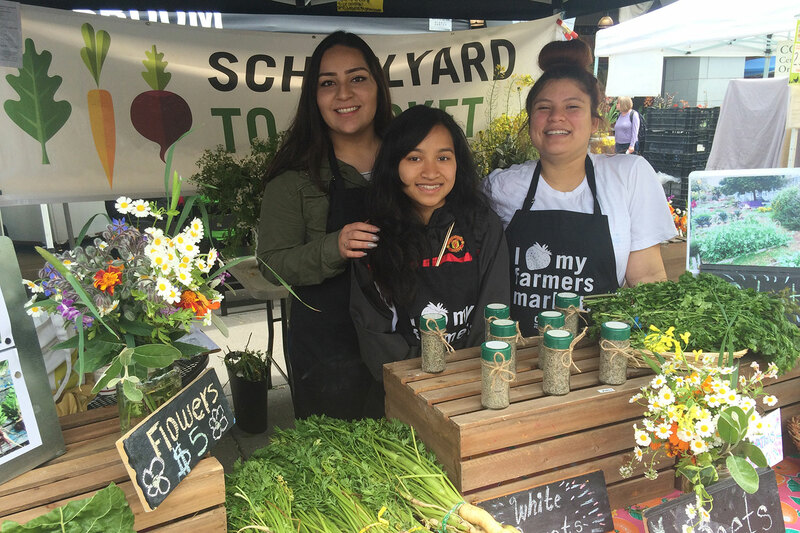 You can support youth in our community to become tomorrow’s leaders with a gift to CUESA. As we face an uncertain climate future, we need to invest in them and build their foundation of ecological awareness. 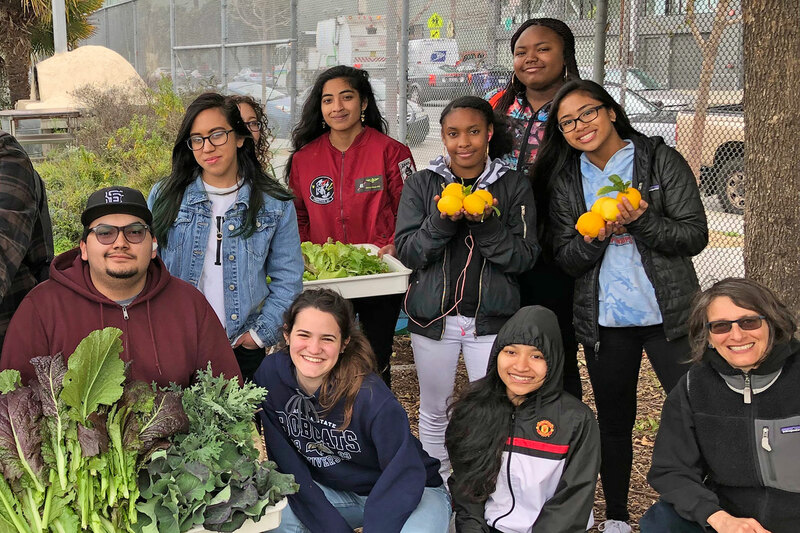 By donating to CUESA, you help students make deep connections between their personal health and the health of the planet, so that they can become environmentally and socially aware thinkers and change makers. This month, we’re featuring inspiring members of our community who are growing the healthy world we want to see. 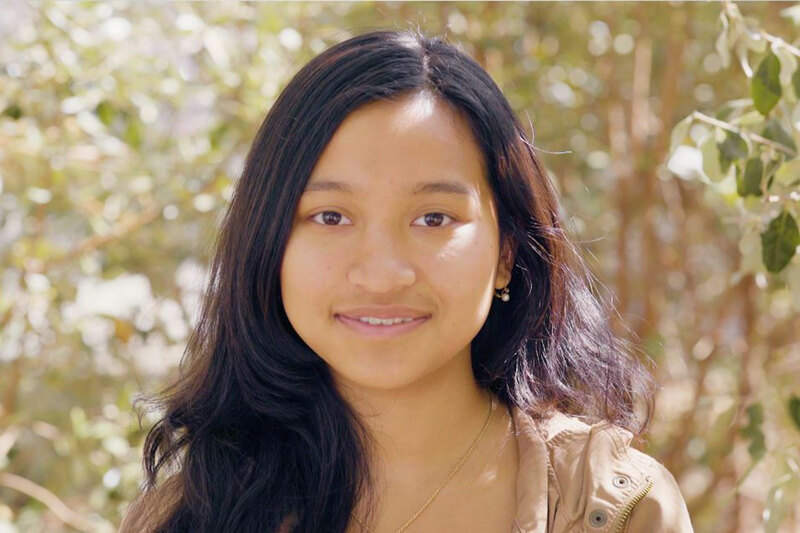 Today we want you to meet Marissa Pho, a recent graduate of John O’Connell High School in San Francisco’s Mission District. There, she participated in CUESA’s high school garden and entrepreneurship program, Schoolyard to Market, where she learned to grow her own food and take on new challenges with an open mind. When we were first told that we would have a gardening class once a week, some of my other classmates didn’t seem too enthusiastic about the garden. But I actually felt really excited about it. To me, it was an opportunity to step out of the classroom and spend time with nature. Working in the school garden allowed me to be hands-on with San Francisco’s urban environment for the first time and really just appreciate it. Ms. Tessa, or the “garden lady” (as everyone loved to call her), would always ask us if we wanted to try a certain fruit or vegetable in the garden. Honestly, I would always refuse because I simply felt kind of weirded out to taste random things from the garden. But let me tell you a story about how I grew to become more open-minded. For starters, I used to despise tomatoes; I absolutely hated the way they tasted. In the school garden, I used to pick cherry tomatoes for everyone to eat because I love harvesting—it’s perhaps one of my most favorite things to the in the garden—but I didn’t like to eat them myself. However, after a lot of nudging and persistence from Ms. Tessa, I eventually gave in and just accepted that she would not take no for an answer (which I am honestly really blessed for). I mean, I might have also felt a burst of curiosity within me. And after the first bite I took of the cherry tomato, I didn’t think it was so bad at all. I think I actually enjoyed it. Next thing you know, I started to eat tomatoes in my burgers, in my salads, in my salsa. The point is that spending time in the garden taught me that you shouldn’t be intimidated to try new things, and that keeping an open mind is vital to living life to the fullest. And to me, that means a lot, because it really allowed me to step out of my comfort zone. I also learned that organic produce is healthier because it doesn’t contain all those chemicals and other toxic things. I now strive to eat healthy, and use products that are sustainable and safe for the Earth. I remember the first time I ate an organic carrot, it honestly changed my life. I used to only eat carrots with ranch dressing, but the organic carrot was so delicious and sweet all by itself that it didn’t need anything. In San Francisco, young people like me aren’t really exposed to nature and the importance of eating healthy foods. In the city, we are surrounded by things that are bad for us. We are surrounded by fast food restaurants. We are surrounded by liquor stores. We are surrounded by drugs. We are surrounded by violence. The Schoolyard to Market program is a positive thing for my classmates and me growing up in the city because it gives us a unique opportunity to learn about the importance of healthy foods and how we can affect the environment. Global warming is upon us, and we need to change our ways of living. You and I need to stand up to keep our Earth clean. Youth are our future. We are the future. It is important that we all work together to create a more environmentally healthy community, and world for that matter. Not only has Schoolyard to Market allowed me to be unafraid to face new challenges and strive to live a healthy and sustainable life, it has also exposed me to so many opportunities that I would have never experienced or that I thought that I would have never enjoyed, such as selling our school garden produce at the farmers market, working in the garden, and exploring the food industry. Currently, I attend the City College of San Francisco and plan to transfer to a four-year university within two years. I am studying administration of justice and I hope to work within the juvenile justice system and support the upcoming youth. 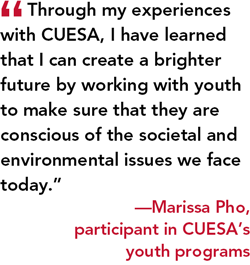 Through my experiences with CUESA, I have learned that I can create a brighter future by working with youth to make sure that they are conscious of the societal and environmental issues we face today. Everyone wants to be happy; everyone deserves a healthy life. There’s no reason for unequal treatment when it comes to access to healthy food. Change starts here, and it starts NOW. Your gift has enormous impact for Marissa and for you. It means she is better equipped to fight for the sustainable and just world we all want. When you give to CUESA, you are voicing your values and building the pipeline of leaders for a healthy food future. Make a tax-deductible donation today.